I’m not an early diver. I wait until the first round of comments are addressed. But, this week I dove into two of Google’s more evolved features. 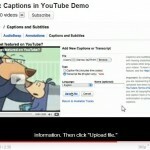 Google Goggles and YouTube’s auto captioning. 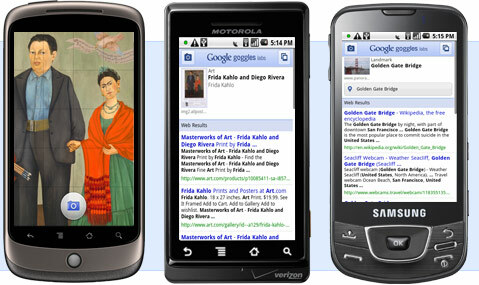 Google Goggles (try typing that one three times fast) was first shown to the public about 6 months ago. It lets you search the web with pictures and photos. Using your Android SmartPhone (for now) you point your camera and snap a picture of a place … let’s say the Eiffel Tower. Immediately you are brought to the web for more information on the Tower. Take a picture of the Mona Lisa provides you with a detailed art history. Snap photos of logos, businesses, restaurants and more. Each brings up a search that’s just as complete as any you’d conduct using words or typing. Alas, my photo of IronMan (a Marvel comics rendition) came up blank, but a photo of Ray Charles took me directly to the man’s life and works. My self portrait thankfully produced no results, but I was able to scan business cards and have them entered into Google Contacts. About a week ago Google announced that Goggles can work with the Google translate app, making it even more useful. Can’t read the menu while dining in Tokyo? Point your camera, click and you’ve got the translation. 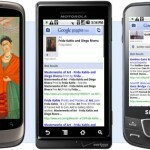 It’s expected that Google Goggles will ultimately run on various smartphone systems, at this writing it’s for the Android. Watch the tutorial. 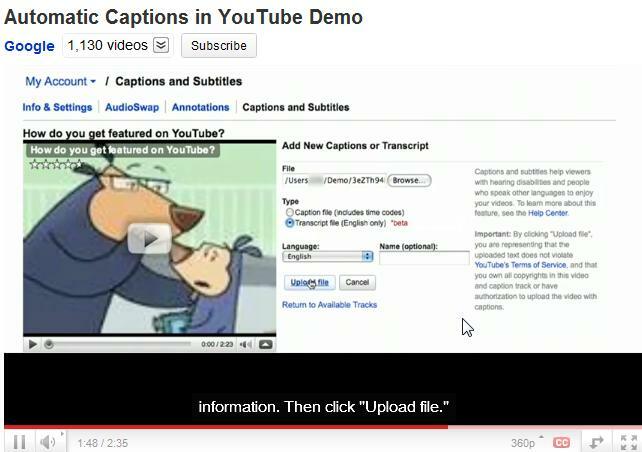 My second favorite – though a bit less evolved find is auto captioning of video on YouTube (owned by Google). Think about closed captioning for the deaf on TV but on steroids. For instance, when you select a video to be auto captioned the captions can be “searched” by Google, the font size changed and most important it can be translated into other languages using the Google translation tools. For a lucid explanation that’s reasonably timely, you can watch this closed caption video. Not every video can be captioned. You must be the owner of the video or choose a video that has consented to be captioned by everyone. The auto captioning is based on the same technology that initiates Google’s Voice Search on Android phones. The results are mixed even though the process is automated, creating captioning files is not simple. Playing with Google toys today is like getting a sneak peak of tomorrow.